Tyler Vizcarra was perfect through the first four innings, battled out of second-and-third jams in the fifth and seventh, and cruised to a victory that sent the Mustangs to Saturday’s championship game, where they will face the LV Cats at 6 p.m.
Tyler Vizcarra was brilliant Friday night, firing a two-hitter to lead the LV Mustangs to a 1-0 victory over the SN Falcons in an elimination game in the Connie Mack state tournament at Faith Lutheran. 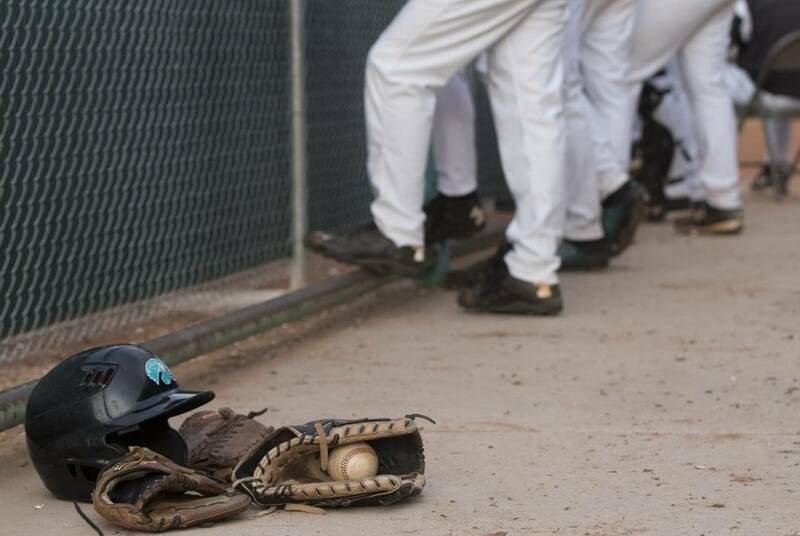 Vizcarra was perfect through the first four innings, battled out of second-and-third jams in the fifth and seventh, and cruised to a victory that sent the Mustangs to Saturday’s championship game, where they will face the LV Cats at 6 p.m. The Mustangs need to beat the Cats twice. The Cats defeated the Mustangs 10-0 in Thursday’s winner’s bracket semifinal. Tyler Black was 2-for-3 for the Mustangs, while Ashton Caniglia was 1-for-4 with the game’s lone run. Of the 26 batters Vizcarra faced, only three balls left the infield, as he mixed four pitches around to keep the Falcons guessing, led by a fastball and a wicked curve that caught Adrian Marquez looking to end the game. The Mustangs chased Falcons starter Evan Ringler in the sixth after back-to-back singles by Caniglia and Black. Gandulla then laced the first pitch he saw from reliever Tyler Kara to left-center field to score Caniglia and give the Mustangs a 1-0 lead. Kristian Saldana had a chance to extend the lead later in the inning with bases loaded, but rapped a hot shot to Kara, who threw him out at first. Game 6 — LV Cats vs. LV Mustangs, 6 p.m.
Game 7 — LV Cats vs. Winner Game 5, if necessary, 8:30 p.m.